Hand Carved Totems in front of a store in Belfast Maine. Belfast is a very fun place to visit, with its many art galleries, stunning views of the ocean, and charming old houses. Whether you are staying in the Belfast area or are continuing to Bar Harbor and Acadia or some other destination, it will be the first of many visits to this offbeat quirky & artsy town on the coast of Maine. Belfast is a very fun place to visit, with its many art galleries, stunning views of the ocean, and charming old houses. 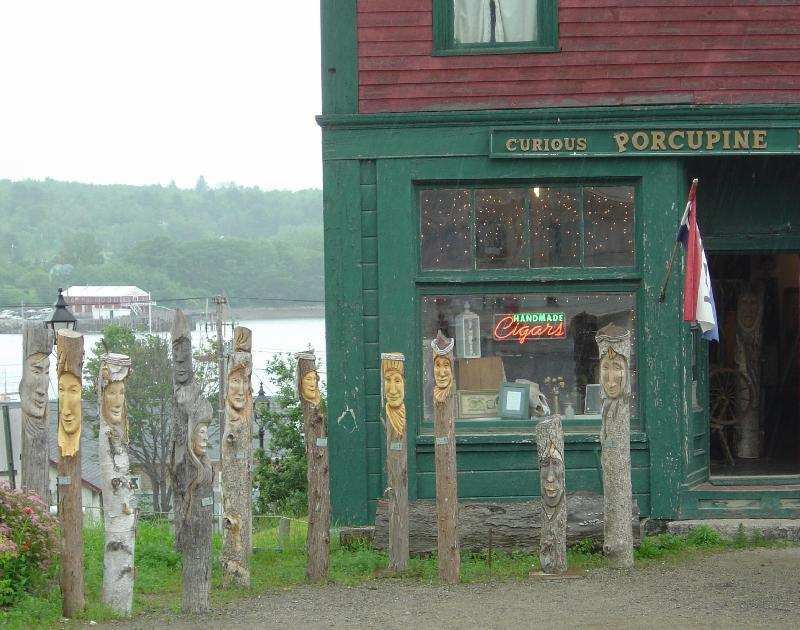 Whether you are staying in the Belfast area or are continuing to Bar Harbor and Acadia or some other destination, it will be the first of many visits to this offbeat quirky & artsy town on the coast of Maine.